If you're thinking about getting a new phone this Black Friday, EE just made the decision so much easier. 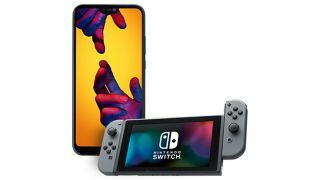 Not only does it have a wide range of great deals on some of the best phones around, but, get this, it's giving away a FREE Nintendo Switch with select deals too! Yes, you read that correctly. EE is giving away a Nintendo Switch with certain phone plans over Black Friday and you don't want to miss out. Shop the best EE Black Friday phone deals with a FREE Nintendo Switch! This is possible one of the best Black Friday deals we've spotted so far, but it only lasts as long as the phones (and Switches) stay in stock, so don't hang about. Head over to EE now and check out its Black Fridays phone deals. Admittedly, the deal is only available on select phone contracts, but with five phones to choose from, starting from just £33 a month and no upfront costs, you can't complain.